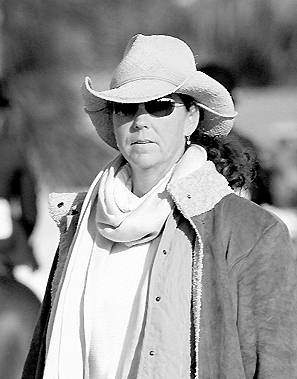 Stacia Klein Madden stands out as one of the most successful and dedicated trainers of young, developing show jumping talent in the United States. She was a top junior rider from Indiana winning the 1987 ASPCA Maclay Finals and placed in both the AHSA Medal Finals and the USET Finals East. After turning professional in 1988 she started training out of Beacon Hill Show Stables in North Salem, New York. In June of 1988, Beacon Hill relocated to Colts Neck, New Jersey. As a professional rider, she was highly successful in both the hunter and jumper ring showing top hunters Another Affair, Copper Creek, Dark Harbor, Hidden Treasure, Kawamha, and Manifesto to championships at shows such as Winter Equestrian Festival, Devon Horse Show, Lake Placid Horse Shows, Hampton Classic, Pennsylvania National Horse Show, Washington International Horse Show, and The National Horse Show before shifting her concentration to the training aspect of the business. From Beacon Hill Show Stables in Colts Neck, New Jersey, she has trained several of the most promising junior riders - riders who have potential to represent the United States at the highest levels of International competition. The Chronicle of the Horse awarded Beacon Hill Show Stables Show Hunter Horseman of the Year in 2005. The counter canter is a common, but challenging test asked of competitors in most equitation and medal classes. As an added benefit, the counter canter is a wonderful exercise for balance and timing. Join Stacia Madden and two of her top students during a counter canter training session over fences that results in the polished performance of both the horse and rider. Get to know Stacia Madden from her introduction to the sport to her biggest influences. The highly respected rider and coach talks about the experiences, the people and the horses that have helped shape her successful career. This interview includes Stacia’s play by play of the 2008 Maclay Finals winning ride-off round of her student, Jessica Springsteen. Whether you are in an equitation class, a derby round or a jump off, it can be daunting to gallop down to a fence with all that pace and hope you meet it well. Join Stacia Madden and two of her top riders to learn Stacia’s strategy to execute a brilliant hand gallop to a jump. Get to know Stacia Madden from her introduction to the sport to her biggest influences. The highly respected rider and coach talks about the experiences, the people and the horses that have helped shape her successful career. Equitation championships call for precision. One necessary ability the rider must posses is the ability to “lock-in” bending lines. Stacia Madden’s brilliant, yet simple, Pinwheel Exercise is designed to hone these crucial skills for both horse and rider.